The X330 utilizes the TAT (Time Allocation Table) save system instead of the FAT (File Allocation Table) system. This allows THINKWARE’s proprietary Format Free Technology to eliminate the need for periodical manual formatting of recorded video files on the microSD memory card. It also helps extend the life of your memory card. You can view recorded video files on any PC or smartphone without having to worry about converting files. 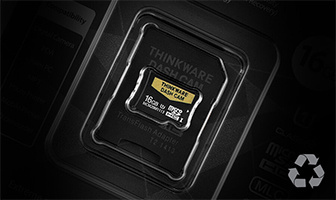 THINKWARE DASH CAM X330 saves the hassle of manually clearing memory space. With the optional GPS Tracker, the THINKWARE DASH CAM x330 / X330 can record the vehicle's driving speed and provide its precise location and routes identification on the map. 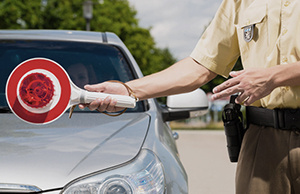 The GPS Tracker helps you to accurately assess the details of the surrounding area by providing you with the vehicle speed and the time of a collision, and the severity of impact. The video recording feature not only stores driving footages in case of an event, but it can also be used to track your holiday travel routes. Anyone can activate and control the THINKWARE Dash Cam x330 easily with a few simple buttons and cable connection ports. Specially designed heat discharge construction and a built-in thermal sensor of x330 / X330 protect the device and its data against intense heat by automatically turning it off to prevent overheating.